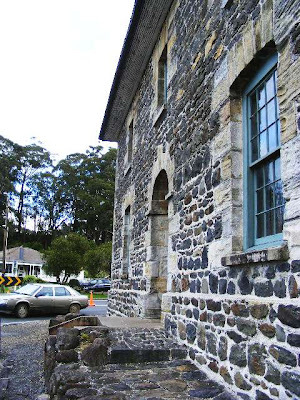 Close up of the old stone store at Kerikeri, Bay of Islands. This is a very historic building which overlooks the river there. Good shot Dave, I know this area well as used to up that way once. Yes I did Dave. I understand that traffic going past the building was causing structural damage so it's probably a good thing?